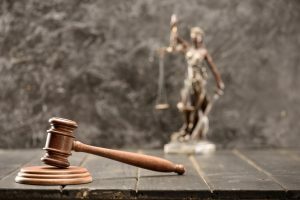 If you were charged with a crime, you may have been treated like a convicted criminal immediately after you were made a suspect, and before you were even given a fair chance to defend yourself with the help of a military defense lawyer Fort Hood trusts. You might have been told that you “must cooperate”, “confess”, and accept the “deal on the table”. The prosecution may have told you that you have no other options. On the other hand, you might have grown up hearing that you are “innocent until proven guilty”. From what you have experienced, you might realize this is not true. In theory, you do have Constitutional Rights, but they are not always practiced. With all of this discouragement, you are still confident and believe in your innocence. You feel that your military case can be fought, defended, and even won. Furthermore, you know that there are military defense lawyers who believe in your rights and are ready to stand up and fight for them. If you can relate to what we have described above, and you’re concerned about the criminal charges against you, a military defense lawyer in Fort Hood from The Federal Practice Group would like to talk to you now. The Federal Practice Group represent active duty, reserve, and retired members of the Coast Guard, Marines, Airforce, Navy, and Army, and their family members in a broad range of military defense issues. To schedule a consultation with our firm, contact us online or call us today. When you’ve been charged with a crime by military prosecutors, you are expected to plea. A Fort Hood military defense lawyer from our team believes that this is not acceptable without a complete investigation of your case. For decades our law firm has sought and secured favorable results for clients who are stationed in the United States and abroad. Whether you have been charged under the Uniform Code of Military Justice or are dealing with other military legal matters, we can help. Call a military defense lawyer Fort Hood employees trust from The Federal Practice Group now.